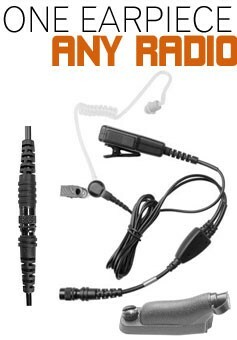 We all understand how important our ears and hearing are to our everyday life, particularly for people that use radio earpieces. But have you ever thought how you can keep your ears healthy? As the old saying goes, ‘you should never put anything smaller than your elbow into your ear’. It sounds reasonable until you consider the size of cotton buds, biros, earphones and pinkie fingers. If you think about it, there are a lot of things we put into our ears - and all of them, by default, are smaller than our elbows. ...But those things are all safe, right? I mean, how much damage could the corner of a towel really do? Well, as it turns out, quite a lot. In fact, most earwax blockages actually result from the improper use of a simple cotton bud. Cotton buds are not actually designed to go inside your ear canal (or anybody else’s for that matter – this isn’t limited just to you). More often than not, shoving a cotton bud into your ear simply compacts the wax that’s already in there. Making a kind of, I don’t know, SUPER WAX, which then needs to be removed by professionals. So, if you are, shall we say, ‘delving too deeply into the unknown’, the wax you are trying to get OUT of your ears can slide even further INTO your ears. Pushing against the tide of migrating cells, where it all compacts and accumulates like, um, a great big ball of ear wax (I didn’t have a good simile there. Sorry). Even going as far as to effect the quality of your hearing. So you see, there is a lot of truth to that old saying about elbows and ears! OK, so your inner ear is itchy, getting out and that paperclip on your desk seems as good a tool as any. Perhaps it would be OK to give it a quick scratch? Just for a few seconds of blessed relief? Leave it Alone! The ear is actually self-cleaning, so if earwax isn’t the problem, you’re actually better off leaving it alone. Interrupting the process only makes things worse, hence all the itchy. Earwax (or cerumen) is a normal part of the ear’s function. It helps to protect and lubricate your ears. It even has antibacterial properties. Without the mighty wax-wizard Cerumen, your ears would be itchy, dry and uncomfortable all the time. Of course, we all need to ‘clear the neighbourhood’ on occasion. The safest way to do this is by taking a damp cloth and gently cleaning the outer areas of your ears. Cotton balls are also good here, provided you don’t insert them into your ear canal. Earwax softener is widely available and can make the process of cleaning your ears considerably easier. Talk to your doctor about removing any waxy build-ups during your exam/check-up/social event that you’re both attending (My doctor never had any problems with it. Sadly I was told that he unexpectedly moved to Peru right after I asked him about earwax at his Niece’s Bat Mitzvah. Shame that). No Sharp Objects! – Never use sharp or pointed objects in your ears. Also, avoid ear candles (while we’re at it, never try to make your own candles from ear wax – they smell funny). You might also want to irrigate your ears with a syringe. This process involves gently rinsing out your ears with saline solution. For best results, use a wax softener about 15 – 30 minutes beforehand. It may seem obvious, but the level of care and attention you give to your ears directly affects the quality of your hearing. So, it is definitely worth looking after your ears. As we’ve discussed, cotton buds don’t so much remove errant earwax as relocate it. If the wax goes too far down the ear canal, it can impact the eardrum. Impacted wax can cause earache, blockage, hearing loss and even tinnitus (or ‘ringing’ in the ears). But wait, it gets worse for the cotton bud. Clinical guidelines set out in the American Academy of Otolaryngology journal actually point out that small, sharp objects. Such as toothpicks, house keys and paperclips can cause small cuts to the ear canals, and even perforate eardrums or dislocate hearing bones. Any of these problems can cause hearing loss, dizziness, infection and tinnitus. Today, most medical experts warn against the use of cotton buds to clean out the ear canal. The reason? They’ve seen too many catastrophes resulting from cotton bud misuse. For those of you who suffer from especially bad earwax build up, a trip to the doctors may be needed. Doctors can easily remove earwax by injecting a little water mixed with peroxide into the ear. It is both painless and effective – and involves no risk at all to your hearing. 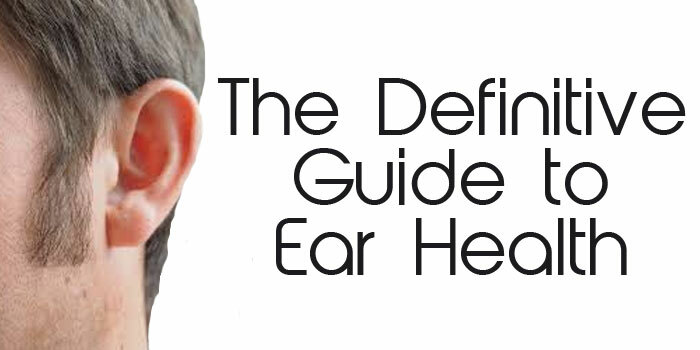 An ear exam, as the name suggests, is a thorough examination of the ears by a qualified professional. When undergoing an ear exam, the patient is screened for a multitude of problems, including discharge, lumps, or foreign objects lodged in the ear (oh THERE’S that paperclip!). Regular ear exams can prevent complaints like hearing loss, tinnitus or earache, as well as infection and earwax build-up before they start. Quick hearing checks are a good way to check the health of your ears. Most people simply don’t understand how important it is to take regular hearing tests. They just keep putting it off and putting it off, waiting for the myriad pressures of life to ‘settle down a bit’ (which they never actually seem to do). However, any personal or professional problems you’re experiencing will be made much worse should you suddenly throw hearing loss or impairment into the bargain. If you experience hearing loss after exposure to a loud noise, it is very possible that you have damaged your eardrum and should seek medical advice as soon as you can. Getting a yearly ear check-up is an important part of maintaining your overall health. Do not wait until you have a problem (or have run out of paperclips) to get your ears checked. Keeping your ears healthy, ensures that problems are detected (and resolved) as early as possible. Wearing high-quality industrial earplugs (or earmuffs) protect your ears, especially in very noisy working environments. This is specially designed equipment that is scientifically proven to work. Do not expect to get any benefit from makeshift earplugs such as cotton wool, cigarette filters, putty, gum, or even bullet casings (on the shooting range). None of the aforementioned objects work especially well and none will actually help your quality of hearing. In addition, they are all uncomfortable and unhygienic. They don’t effectively attenuate sound and therefore most of the risks presented to your hearing are still present, even if it feels like they aren’t. Yes, home-made earplugs feel weird in your ears for a reason; it’s your ears’ way of telling you that what you’re doing to them isn’t right. Protecting your ears is very important. In a 2016 Dutch study, 51 adults (with an average age of 27 years old) were asked to attend an outdoor concert for 4.5 hours in an attempt to study the effects loud music could have on a person’s hearing. Researchers randomly assigned earplugs to 25 members of the test group. The remaining 26 went without. The earplugs had a noise reduction rate of 18 decibels, whilst the average sound pressure level experienced by the test group was 100dBA. It was encouraging that only 8% of the earplug-fitted study participants experienced any hearing loss at all. Compare that to the 42% who attended the gig ‘au naturel’ (in the ear department, at least), and who suffered hearing loss in some form or another. Of the earplug-wearing people, only 12% suffered from tinnitus, whilst a whopping 40% of the non-wearers went home wondering if anyone was going to answer that damned phone. (and no, not just because those who were adolescents in ’88 have gotten old and lost their hearing!). It is thought that this spike in hearing loss is due to an increase in ‘recreational noise’ (as my grandfather used to call it). In any instance, too much of this recreational loud noise can certainly pose a problem for those of us who, you know, actually like to hear stuff. Nightclubs, gigs, weekend festivals...It all adds up. On the other hand, it’s not much of a life if you just sit in a soundproof room and never come out for fear of bursting an eardrum, is it? Surely there’s a happy medium? Today, hearing experts unanimously recommend wearing earplugs for music performances, as well as taking breaks from the loudest areas and not standing so close to the speakers that you can feel your teeth dancing. Essentially, we can render these dangers in the form of a basic equation. The louder the sound is + the longer you’re subjected to it = the amount of damage you’re risking to your hearing. A lot of hearing loss is temporary, and temporary loss of hearing is called a temporary threshold shift (TTS). (for example, you could hear a person reading this article aloud if he or she were next to you, but possibly not if they were on the other side of the room). It should get better after a while, although the sad truth is that ANY hearing loss, even if it’s only temporary, can be very dangerous in the long run. Noise-Induced Hearing Loss (NIHL) – Your inner ear is delicate, and extremely sensitive to loud noise (in evolutionary terms, you’re supposed to hear the sabre-toothed cat sneaking up behind you and run away BEFORE it roars, not sit in front of it and listen to it roaring for three days of heavy drinking before you pass out and your mates draw pornographic diagrams all over your face). Any noises louder than 85 decibels are likely to cause damage. How long this type of hearing loss lasts depends on the level of noise and its proximity to your ear. Clogged Ear Canal – This one is due to our old friend Cerumen the Wise. As we discussed earlier, putting stuff in your ears that shouldn’t be there can/does cause this. Ear infections are also caused this way and create similar symptoms for the sufferer. Earplugs themselves can also cause cerumen build-up, so be sure to clean your ears after using them. So what can you do to recuperate? When suffering from ear-related trouble, be it tinnitus or temporary hearing loss, listening to white noise or gentle, relaxing sounds (at a sensible volume, of course) can actually help, as can simple relaxation techniques. As with most illness, a good technique for recovery is to dwell on it as little as possible by finding something else upon which to focus your energies. Yoga and meditation are both good for persistent, annoying illnesses such as tinnitus and hearing loss. The good news is that in many cases, the symptoms go away within 16 – 48 hours. In extreme cases, it may take a week or two, but further exposure can bring it back very easily, especially in the case of tinnitus. Wear heavier earrings, learn to wriggle your earlobes, read the Ferengi ‘Rules of Acquisition’, watch ‘Dumbo’ every chance you get...Nah, just kidding, but exercise IS good for your ears. A study by the American Speech-Language-Hearing Association (ASHA) suggests that as people age, our ability to hear is directly tied to the health of our hearts. How does that work, exactly? Well, I’m glad you asked. It seems that good cardiovascular health increases blood flow in the body, which is one thing that keeps your ears functioning well. It is perhaps traditional to view hearing loss as a natural consequence of old age, but age-related hearing impairment is a complex disorder that is part genetic and part environmental. Here are a few ways to stave off going deaf in your old age, as well as keep your hearing in tip-top shape in the here (pun intended) and now. Have a conversation in an area with a lot of background noise, such as a busy restaurant or a party. If, like me, you don’t get invited to nice places very often, turn the TV or radio on and have a conversation as it plays, focus on what is being said whilst trying to tune out the background noise. If you really don’t have anyone around at all, try meditating (no, I said MEDITATING...Put that away unless you want to go blind as well as deaf, YEESH!). Meditation takes practice, but even a few minutes each day will improve your ability to concentrate overall – and thus, the sensitivity of your hearing will increase. Practice focusing on and then locating sounds to sharpen your hearing. This is especially easy if, like me, you regularly lose your phone after switching it to silent and have to creep around the house like a ninja in an attempt to hear it vibrating. Your ears and the part of your brain that analyses sound can become lazy without regular stimulation. This can lead to a condition known as auditory deprivation. It occurs when hearing loss prevents the sufferer from hearing a full range of sounds. Its also worth pointing out that several studies have shown that adults who suffer from hearing loss are more likely to develop problems with thinking and memory. As their brains are devoting extra energy to processing sound (still keeping one ear out for those sabre-tooth cats, you understand). By exercising your ears, you keep that part of your brain ‘in shape’ as it were, which helps keep hearing sharp. So remember, exercise, regular check-ups, no more cotton buds or nothing smaller than your elbow in your ear. Your hearing is important and hopefully these tips will help you keep your ears healthy, and in turn improve your hearing. You are very welcome to quote or use our articles on your Blog. The only condition is that you provide a direct link to this article on the page where you quote us. Alternatively share it on your favourite social media platform below.